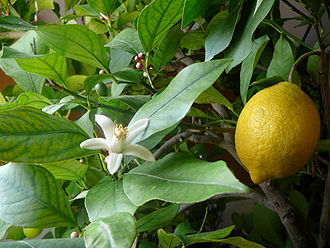 You see, my lemon tree doesn’t understand it is now the middle of winter and it is supposed to be hibernating, or dormant, or resting, or whatever because it is blooming like crazy putting flowers out all over the place. It (clearly) wants to reproduce but there are no bees or insects to pollinate the flowers, it is the wrong time of year! Now, this isn’t the first time this has happened. It happened last year too. And here I was, thinking that the lemon tree knew better than me about how to make lemons so I let things be and left nature to take its course. And you know what happened? Nothing. That’s right. Nada. No pollination. No joy. No lemons. And what’s more it didn’t bloom again for the rest of the year either! 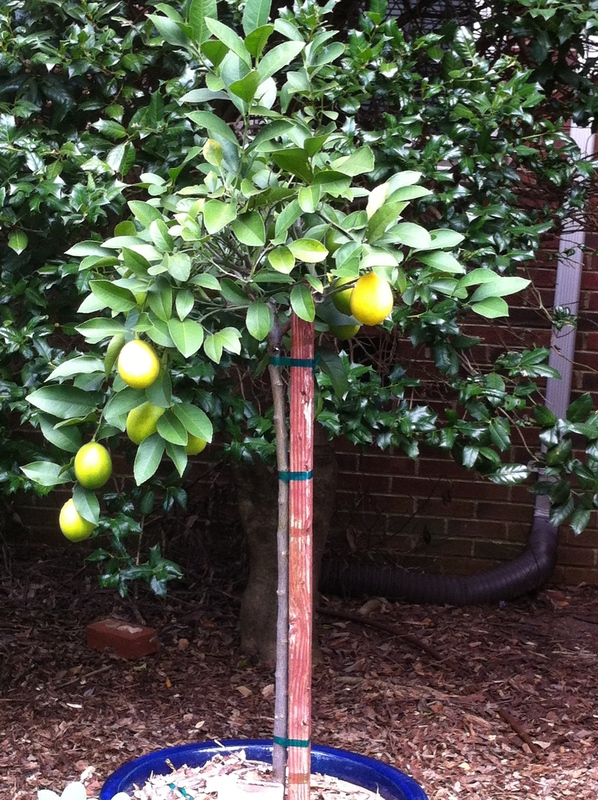 Now what’s up with that, lemon tree? Why so sulky? Why so cold? Not putting out. Frankly, a bit of a tease. So this year I decided to take matters into my own hands and get closer, in the Biblical sense, to my lemon tree. I’ll admit, I felt a little weird about it but I guess we all need a little help from time to time. Even if you are a citrus, it seems. But a little background first. I live in USDA Zone 7b which means the winters here are too brutal to successfully grow citrus outdoors. Instead, I keep mine in pots and move them out to the garden in the Springtime and back indoors late Fall. This year, as usual when the weather cooled, I dutifully wheeled the lemon and lime trees into our garage storage room and put them to bed for the winter. But you know what happened? Within two weeks the lemon bloomed! All over the place! 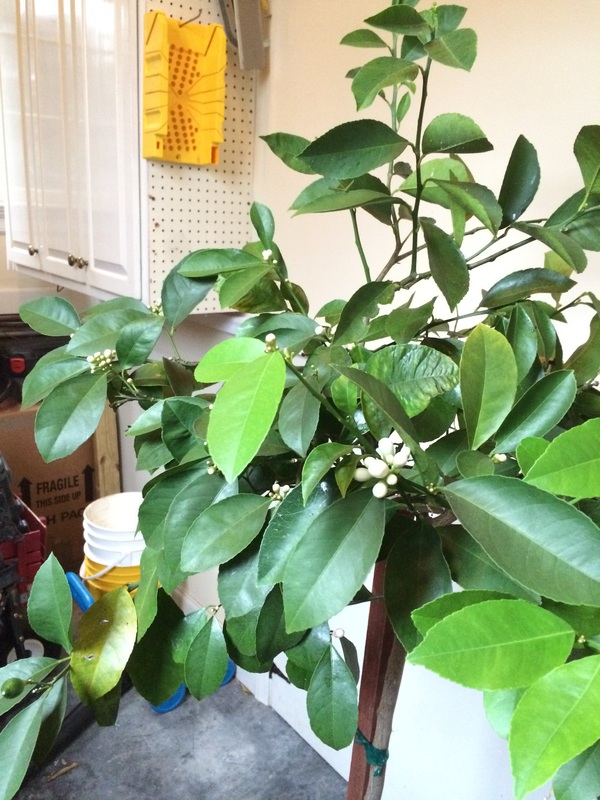 Lemon blossoms all over my tree … mid-winter … in my garage. I love lemon blossoms, don’t you? I guess the storage room becomes something like a little greenhouse with just enough warmth and light for the lemon tree to think it is an appropriate time and place for a little lemon love <3. Now, I love lemon blossoms, don’t you? So fresh and pretty. But they are completely wasted inside my storage area. Not only do I not get to see them, since they are squirreled away in the back of a storeroom, but there are no insects to do the deed needed to make lemons! Grrr! So I did what had to be done …. I did it myself. Yes! I had nookie with my lemon tree. I’ll admit, it was something of an experiment having never gone beyond first base with a lemon tree before, but all I did was take a regular Q-tip and gently wiggle it around inside the open flowers, one after another, until I’d gone over the whole tree. Kinda like a bee would, I guess. I guess. Anyway, it did feel a little dirty, what with all the pistils and stamens and whatnot, but still… I persevered. And you know what? It worked! I have two new baby lemons growing mid-winter. Such a proud lemon mama. Very exciting, let me tell you! The strange thing is that the lemon tree has flowered again since my initial ‘interference’ and my plan is to go back with another Q-tip to ‘do the deed’ once more. Is that wrong? Prolly goes against nature or something. But then again I want meyer lemons, dagnabit!! Sigh. I surely never thought it would come to this.